An oasis of luxury and utmost comfort, Ramada Plaza Agra welcomes all with excellent hospitality. This luxury hotel in Agra is designed for the modern business and leisure travellers alike with amenities that are second to none. It’s located in close proximity to the ‘Symbol of Love’, Taj Mahal and other tourist attractions of Agra, and is also the first hotel to be located on the Yamuna Expressway where one can enjoy a hassle free stay here without entering the main city. Counted among the best hotels in Agra, Ramada is a name defined by the true mark of convenience for the guests. From the most comfortable rooms to outlets for fine dining and a team of experts, Ramada Plaza Agra is known for its incomparable warmth for the guests. Equipped with a king size bed and comfortable mattress, our Executive Rooms have all the modern amenities. Apart from being spacious, this hotel accommodation in Agra has an attached bathroom and a well-designed workstation with various in-room amenities such as high-speed Wi-Fi. Deluxe Rooms of this business hotel in Agra are a notch above when it comes to facilities. These spacious rooms have a king size bed with a comfortable seating area and various in-room amenities that are required to spend a relaxed sojourn. The rooms have spacious bathrooms and offer free Wi-Fi for the guests to stay connected. Apart from providing a king size bed and cosy mattress, our Club Rooms also offer other top-notch amenities and special VIP privileges to the esteemed guests. The rooms also have a neatly done workstation and come equipped with other entertainment options. In addition to the standard services, our Specially Adapted Rooms are spacious and have modern amenities with entertainment options. One can easily spend a relaxed stay in these rooms where we have the most comfortable mattress along with other services. Whether travelling alone or with family, our Junior Suites offer a comfortable sojourn in one of the best hotels in Agra. These Suites offer all the modern amenities that one expects from a luxury hotel, including a king size bed, high-speed Wi-Fi, modern TVs with various local & international channels for the guests to choose from. The Suites of Ramada Plaza Agra are spacious and grand, just the way our guests like it. Needless to say, the Suites have all the amenities of other accommodation options complemented by some special services. Enjoy the comfort of space without compromising on your privacy when you choose to stay in this hotel in Agra. Our Honeymoon Package is tailor-made to perfection, ensuring privacy, comfort and luxury during your honeymoon. After a tiring day, all you need is good food to cheer you up. From authentic Mughlai recipes to global multi-cuisine delicacies, we have it all under one roof in this hotel with restaurants in Agra. For our guests who wish to wind up the day with some eclectic concoctions and a delicious range of appetizers, we have a pool-side bar, which offers a beautiful ambience as the moonlight reflects on the pool water. Tying the knot in a sacred ceremony is as beautiful as it sounds. With beautifully manicured gardens and well-equipped venues, our team of professionals believes in planning a fabulous ceremony for you in the City of Love. 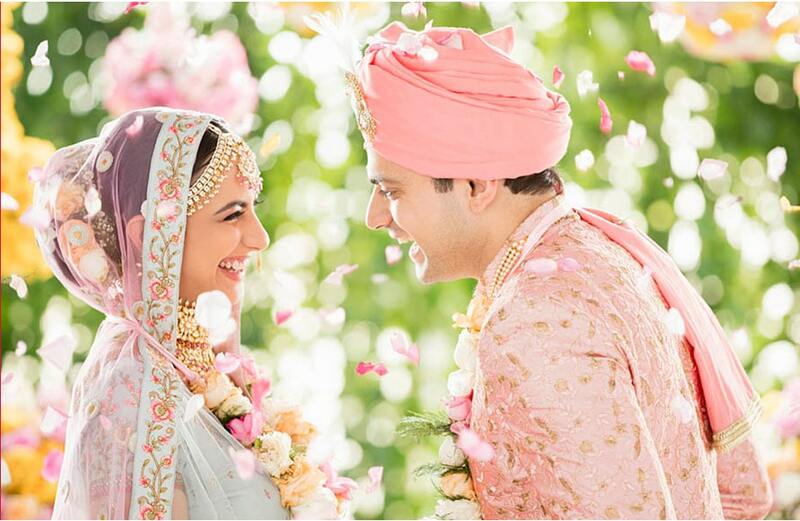 The trend of Destination Weddings is here to stay and we make sure to leave no stone unturned to curate the finest experiences among all the wedding hotels in Agra. All you need to do is plan your destination wedding in Agra and let us execute it just the way you’ve imagined. NEERAJ and SUBHAM and MONU: some of the greatest servers I’ve ever had. Helpful, kind and entertaining. They made this experience unforgettable and I am so glad I visited this hotel in Agra. I will be visiting again and I hope these men get a raise.